The 4.2-liter twin-turbo Blackwing V-8 engine will not be shared, and that’s final, according to Cadillac President Steve Carlisle. He told Motor Trend in a Friday report that it remains the brand’s stance that the engine was developed exclusively for Cadillac vehicles and it will not make its way to any other GM brand. Carlisle is so certain it will remain tied to Cadillac that he said “over my dead body” will the engine sit under the hood of something other. There’s long been speculation the engine could find its way to the mid-engine C8 Corvette, though Carlisle really seemed to dash such an idea in his latest interview. The new Corvette is supposedly in for a few new engines: an upgraded LT1 V8 engine, possibly called the LT2, and a DOHC V8. The latter will reportedly come with and without twin turbochargers, which made the Blackwing V8 a possible starting point. Currently, the only car scheduled to receive the engine is the 2019 Cadillac CT6-V. The brand sold all of its 275 vehicles planned in just a couple of hours, but Cadillac will reportedly build more—with a $4,000 higher price tag. The model’s future still remains murky, too. GM originally said the CT6 would exit production as part of manufacturing restructuring. However, executives then said GM was looking for a way to continue production. Carlisle himself said the sedan could be imported from China, but he’d rather keep production of the car in the U.S. to avoid tariff situations. It’s rumored the CT6 could join the Cadillac CT5 and CT4/CT3 at the Lansing Grand River assembly plant. We’ve also heard rumors of a second-generation CT6 on GM’s upcoming modular VSS-R platform. Aside from the CT6, we’ll likely see the Blackwing V8 make its way to the Escalade in some form and perhaps at CT5-V, too. Nothing is every final with GM and at the rate Cadillac goes through presidents, the ‘over my dead body’ statement is meaningless too. I wish it were true that Blackwing won’t be shared and I think if Cadillac ever wants to be taken seriously again, it needs to be true but having watched this company for many years, the beancounters will overrule him. They’ll dictate that the engine’s costs need to be amortized over a larger portfolio of products and pretty soon a “detuned” version will show up in a non-Cadillac. Anybody remember the Northstar-equipped Buick Lucerne Super or the Pontiac Bonneville GXP? If I recall correctly, Cadillac wasn’t happy about sharing the Northstar either but GM dictated that they must. Can someone explain to me how there is a difference in a V-8 – DOHC – twin turbo GM Chevrolet engine. Corvette. And a V-8 – DOHC – twin turbo GM Cadillac Blackwing engine. Cadillac. There the SAME thing. Different bore – Different stroke – Same engine ? What makes this a Cadillac ? All V8 DOHCs are not created equal. Even from the same manufacturer. Ford has Coyote which is different from Voodoo which is different from Predator. They all have some basic similarities, but when you get into the details, three significantly different engines. none of that stuff you mentioned is why the blackwing is different. do you know nothing of this engine? What I meant is if this “Blackwing” design is actually that “Great” you mean to tell me GM will not use this tech in another engine in lets say the Corvette. Because if that’s what is being said here I will believe it when I see it. Not sharing the Blackwing twin-turbo V8 with other GM divisions makes sense as Chevrolet could build a detuned LT4 or LT5 for usage by big SUVs and trucks that need or want more than 420 hp; but what would be great is if Cadillac was willing to offer the Blackwing V8 to more vehicles within their own lineup as the new XT6 could use the Blackwing V8. My theory was always that the block would be shared but the Chevy would use different heads and intake. The Hot V is not good for Mid engine and Chevy could use new heads to bring their own power and tune to the block. Now does changing the heads and intake make it a different engine or are we going to get a whole new engine? Note too the trucks will need multi valve at some point for every increasing emissions standards. A new truck based multi valve could be a starting point. i think its hilarious how attached people are to this concept of “brand exclusive” engines, like if it has a special badge and signature on it its somehow worth more or better. GM could take the LGX V6, supercharge it, slap a special name and signature on the engine cover, give it a nice sounding exhaust (like on the camaro) and most would never know the difference. That said, there isn’t really a reason for this engine to be in anything else, at this point. Corporate ‘GM’ engines for all just ruins brand identity & equity. While the corporate engine works with the Sonic or a Equinox people who buy special and expensive cars expect more for their money. The Ecotec is fine in a Nox but to put the same engine in the XT4 is a mistake. They should at least tune it for more power and dress it different. The closer to $100k calls for their own power plants. The fact it higher prices call for things customers perceive as added value. Another simple example was a couple years ago the ZR1 came with the same steering wheel as the HHR SS. Good for the SS owner but does little to give the ZR1 owner a good feeling at $120,000. 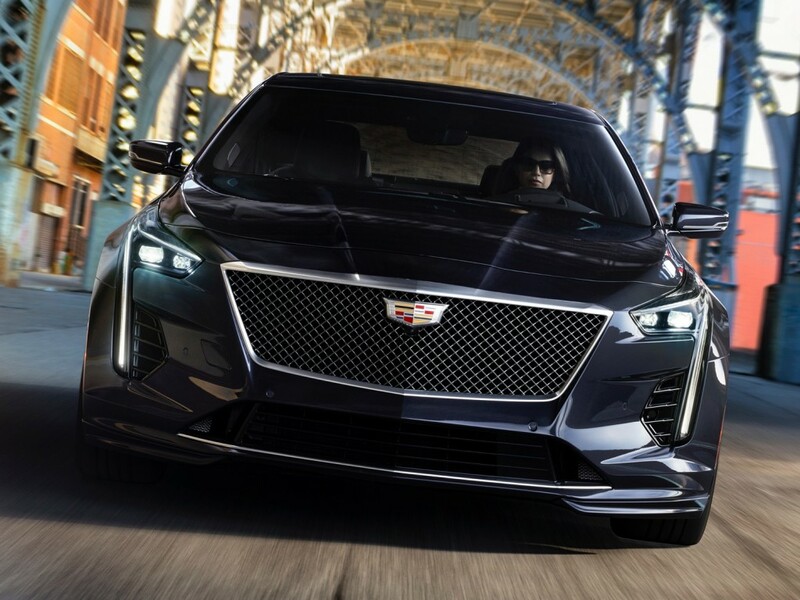 New blood is being brought into Cadillac with V series, younger and more affluent than regular Caddy buyers, corporate engines seem good enough for them.